Borders joined the organization in October after leaving her position as the president of the WNBA. 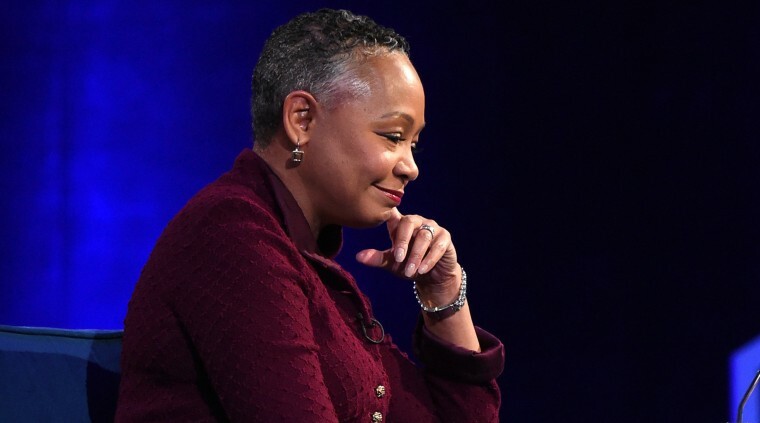 The resignation of Lisa Borders as the CEO and president of Time’s Up followed sexual misconduct allegations against her son, according to a statement from the gender equality initiative. “Lisa Borders informed members of TIME’S UP leadership that sexual assault allegations had been made against her son in a private forum,” according to a statement from the organization released early Friday. Borders made the decision to resign within 24 hours and “we agreed that it was the right decision for all parties involved,” the group said. “All of our actions were fully guided by our support for survivors,” the statement said, which did not elaborate on the nature of the allegations. She did not detail the nature of the family concerns. Borders did not immediately respond to request for comment. She joined the organization in October after leaving her position as the president of the WNBA. Time’s Up was formed last year following the #MeToo movement and the wave of allegations against powerful men in Hollywood. The group has a legal fund which aids workers seeking to fight workplace harassment. Time’s Up said in its statement Friday that it strongly encourages anyone who has experienced sexual harassment, assault or retaliation in the workplace to contact the legal defense fund for assistance. The group said its COO, Rebecca Goldman, would serve as interim CEO following Borders’ departure.